Original music by Richard Saucedo. State of Illinois Invitational Marching Band Champions: 1999. State of Illinois Invitational Marching Band Finalists: 1981, 1984, 1985, 1988, 1990, 1992, 1993, 1997, 1998, 1999, 2000, 2001, 2002, 2003, 2004, 2005, 2006, 2007, 2008, 2009, 2011, 2012, 2013, 2015. State of Illinois Invitational Marching Band Class 6A Champions: 2000, 2005. Illini Marching Band Championship Large Schools Governors' Trophy Champions: 1982. BOA Grand National Semifinalists: 1998, 2000. BOA Indianapolis, IN Regional Finalists: 1999. BOA Normal, IL Regional Finalists: 1988. BOA St. Louis, MO Regional Finalists: 1997. BOA Toledo, OH Regional Finalists: 1998. The Marching Knights split in 2001 to form the Lincoln-Way Central Marching Knights and the Lincoln-Way East Marching Griffins. In 2009, Lincoln-Way Central split to form the Lincoln-Way West Marching Warriors. Past directors include 2002-2013: Eric Wellman, 1997-2001: Clifton Smith, and 1996: Richard Irvin. 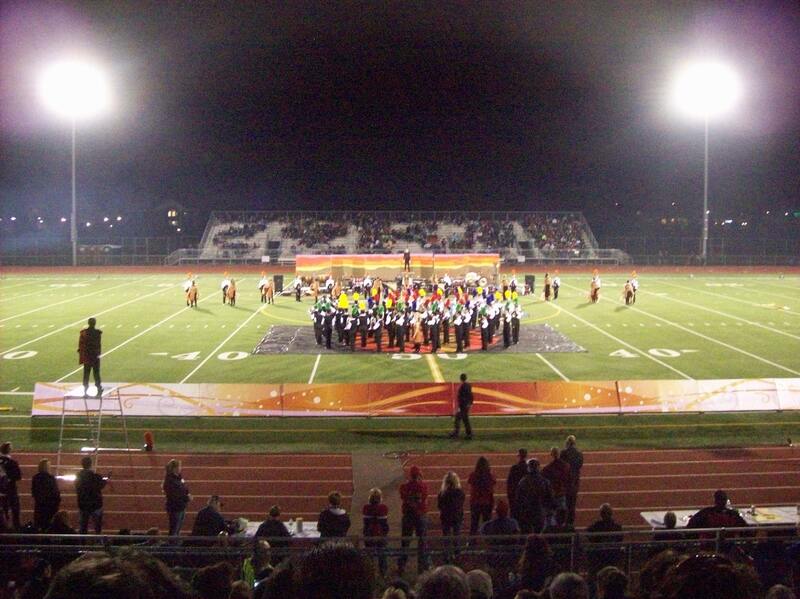 In 2016, the Lincoln-Way bands will merge together to form the Lincoln-Way Marching Band.